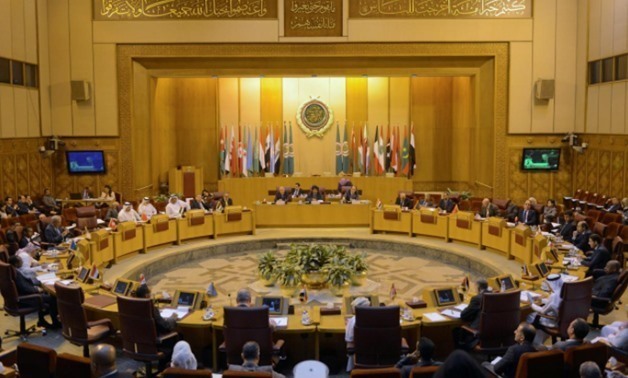 Arab Foreign ministers have called for the setting up of a multilateral mechanism under the auspices of the United Nations to sponsor the peace process in the Middle East. This came in a resolution issued Thursday at the end of the Arab League’s ministerial meeting on Palestine, held in the aftermath of the harmful decisions made by the Trump’s administration, regarding the recognition of Jerusalem as the capital of Israel and the reduction of its contribution to the United Nations Relief and Works Agency (UNRWA). The Foreign Ministers warned against the repercussions of any decisions aiming to violate the status of Jerusalem and renewed their rejection of President Donald Trump’s move, asserting their support to all decisions by Palestinian President Mahmoud Abbas under the framework of the Palestine Liberation Organization, to counter the US administration’s recognition of Jerusalem as the capital of the occupying state. In this connection, the Arab League welcomed the United Nations General Assembly (UNGA) which overwhelmingly passed a resolution on December 21 condemning Trump’s decision. It also called on states not to move their diplomatic missions to Jerusalem, in accordance with the UN Security Council resolution 478 (1980). As to the cuts in UNRWA financing, they warned that they will have negative consequences not only on the countries receiving refugees, but also on the stability and security of the whole region. Washington announced on January 16 that it was withholding $65 million of $125 million it had planned for the agency this year. The UNRWA is funded almost entirely by voluntary contributions from UN member states. The Arab Foreign Ministers also called for convening an international conference to re-launch a credible and time-bound peace process based on international legitimacy resolutions, the principle of land for peace and the two-state solution on the territories occupied by Israel in June 1967. The ministers reaffirmed their support for the State for Palestine to obtain full membership at the United Nations, and called for mobilizing international support for this end. They also mandated the Arab Group in New York to take the necessary actions in this regard. The ministers called on the Palestinian factions and forces to speed up the completion of national reconciliation in accordance with the Cairo Agreement signed in May 2011 and the latest Cairo 2017 agreement, to enable the National Reconciliation Government to assume its full responsibilities in the Gaza Strip and hold general elections as soon as possible. Written by: Jaber Ali on February 2, 2018. Posted by Jaber Ali on Feb 2 2018. Filed under Headlines, World News. You can follow any responses to this entry through the RSS 2.0. Both comments and pings are currently closed.